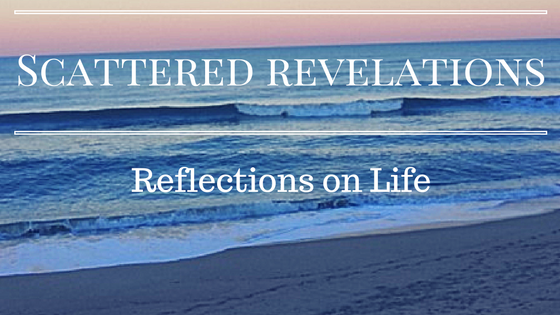 Scattered Revelations: For the 4th Aniversary of this Blog: A Few of My Favorite Things! For the 4th Aniversary of this Blog: A Few of My Favorite Things! So last week we got snow in Williamsburg and I had laundry to sort so I started watching the TED talks that I have been meaning to watch. It gave me the idea that I could share some of my favorite talks with you. It would be lovely if you all would share some of your favorites in the comments! I love TED talks for the sheer variety and diversity. I always come away feeling like I have learned something or that I am thinking about something in a new way! Also they are short - no longer than twenty minutes so really I should not have to wait until there is snow to watch one or two! Since we here in the south are really snowed in it is the perfect chance to check out TED. This is such an important message! I wish every person would listen to this particularly parents, doctors and school health educators! As someone who has struggled with weight all her life, who was put on a 1000 calorie a day diet at 13 and who has been fat-shamed all of her life, I wish I knew this years ago. Now I am focus on my health - eating mindfully, exercise, tuning into my body and taking care of body and soul! Let's focus on teaching our kids to be healthy - not a BMI number or number on a scale! As you can see, I have some strong feelings about this! This makes me want to read Sheryl Sandberg's book Leaning In even more. While I know there is controversy about the book in terms of its applicability across class lines, I am impressed how the book and the work of her foundation are crossing international borders. I just watched the most recent one - I need to go back and watch her original talk! Sheryl Sandberg: We leaned in...now what? Finally I watched this one. Powerful piece from a COO about business being about more than profits. This is just so cool! The idea of adding time to Google Earth! And here are two on the positive impact of video games. So if you are a parent worried about your children playing video games - watch these and feel better! Here are some that are very popular and also on my favorites list! Here are some I need to check out! I have these bookmarked on my TED app so I can find them. In addition to TED here are a few of my favorite sources for news about religion and spirituality. I share frequently from these sites on my Facebook Page, Twitter and Google+ Yes I now have a Google+ page - please come like it if you are a Google+ user. So what do you like to read and watch? What inspires you? Let me know in comments! I am always looking for new things.